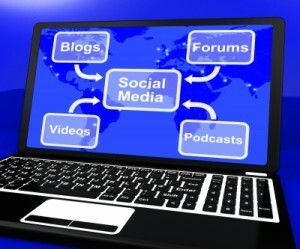 Social media strategy; every business that goes into the social media arena has heard that they need to have a strategy. I have read numerous articles on the subject and what I have found is that most of them give you the general guidance but fail to tell you how to actually do it. As an example, I have read that you need to find where your customers are on social media but very little on how to actually go about finding them. The nuts and bolts of social media strategy seem to be missing. I don’t know if this is because the writers don’t want to give away their secrets but I do find bits and pieces in various articles and will try to condense them into one easy to follow guide. Social media is not easy and it is not free! Social media cost a business the one thing they never seem to have enough of; time. I once heard someone say that they would get into social media if they had an intelligent octopus with four computers to do the work. It is time consuming but it can be much easier if you develop a detailed plan before jumping into it. If you have already made the jump you may want to go back and develop a strategic plan to ensure success. Interesting enough that this first question to answer is one that many businesses find incredibly difficult. Nobody knows your business better than you (or should) but being able to articulate that sometimes is hard to do. You must first articulate exactly who you are and what is your persona. Your social media persona will have a name, gender, photo, occupation, interests. In short they will be everything that makes up a real person. This will establish the basis for how and what they will post on social media. A business needs to know who the real competition is and evaluate what they are doing on social media. This will assist you in determining which platform to use and how to stay ahead of them. Remember that your visitors are only one click away from your competition. See what they are doing that attracts and engages visitors. 3. What Sets Your Product Apart from the Competition? If a business cannot state clearly what sets them apart from the competition how do they expect the customer to decide that they are any better than the next business. This is not bragging but simply stating the truth about why your business should be the one to choose. Be honest but not boastful. Do not put down the competition. People should choose you because you are the best choice, not because you put down someone else. Although many businesses are active on social media, have numerous followers, fans and readers, they fail to determine who their ideal customer is and target them. Many times they are followed by literally thousands that will never purchase their product or service. Decide who the ideal customer is and you can then begin determining the type of content they are reading and searching for. Look at the bios on your Twitter followers and those you are following to determine if they are indeed your ideal customer or an influencer in your business. Check your Facebook fans pages and make the same type determination. If any of these individuals have LinkedIn or Google+ accounts look into what they are posting and their bios. 5. Where is Your Ideal Customer on Social Media? If you wish to engage with your ideal customer you need to know where they are at on social media platforms. Searching on Twitter for hashtags aligned with your business will give you an idea of who is on those subjects. Engage with them first. Find influencers in your field and begin following them. Your good friend that may engage with you but never purchase from you is not where you want to be. You now are in a position to decide which social media platform to use to best reach your ideal customer. Once you have determined who your ideal customer is and where they hang out on social media platforms you must determine your goals for using that platform. I often hear people say “Increase sales” when asked this question. Well, unless your post is a link to your product with an easy checkout, increasing sales from your social media may not be a realistic goal and is also difficult to measure. Obviously, increasing sales or revenue is the ultimate goal but your social media goals need to be defined more in terms of what you can honestly expect to accomplish. Goals such as “Improve brand awareness” or “Improve customer service” or simply “Increase engagement” are all valid goals and much easier to measure. Of course the goals may vary depending on the platform you choose but remember that whatever goals you choose they must be measureable and this will require the identification of specific KPIs to track: visits, likes, shares, mentions, comments, etc. Remember that your social media goals should be in line with your overall business goals! This is a question many businesses struggle with due to the time required for effective blogging. My answer to this is similar to an article by Elizabeth Maness (http://assistsocialmedia.com/your-blog-center-of-your-social-media-marketing-strategy/) in that your blog, as part of your website, is your store front. You own it, not some social platform that may or may not be around next year. You choose when to change the look and feel of it, not someone else. It reflects your brand. You decide what apps you will add and what other people can do on it (comments, etc.). In short, you control it. It is also a great place to be putting up new content that Google loves to see on a website. Develop quality content and optimize the posts and it can do a world of good for your website ranking. 8. Define Your Social Media Tactics. Deciding who is responsible for responding to negative comments and how they will be handled is imperative for a social media strategy. Negative comments will one day appear so be prepared with how to respond, don’t rely on crisis management. Finally, ensure that you assign a leader to your social media efforts. Have a single point that oversees your entire effort and makes sure you stay on schedule. 9. Don’t Get In Too Much of a Hurry! Social media takes time. Easy to say but hard to wait month after month for results. If you stay the course, follow your schedule, post quality content, engage with your audience and it will eventually show results. Don’t jump ship after a month or two because sales are not up or you don’t have a thousand followers. “If you build it (correctly) they will come”. I must credit this last item to Craig Rennick’s article “Influencer Outreach Best Practices: Preparing a Strategic Plan” (http://innetwork.net/2013/07/influencer-outreach-best-practices-strategic-plan/) Ensure that you provide reports that cover the KPIs identified earlier so that your staff can easily determine if they are achieving the goals established. Make sure your reports are in language that is simple to understand (remember they are not SEOs). Be honest in reporting; if something is not working you need to identify it so that you can modify your plan or change your tactics. If I have left anything out that you might consider important please be sure to provide comments.